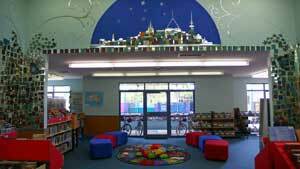 Students and parents are able to enjoy our beautiful library and our wonderful books each school day from 8.30am until 3.30pm. We have nearly 26,000 resources to choose from, including audio books, English as and Additional Language Dialect texts, parenting resources and a large range of engaging fiction and non-fiction books. During lunchtimes students can come into the library to browse, borrow, read, draw and play a selection of board games. Please feel free to come into our lovely library and borrow for yourself and your family. If you are short on time we have parent bags ready to go that contain a collection of picture books for you to read with your children. If you have some spare time before or after dropping your children at school, we are always pleased to have volunteers to help in the library. From shelving to covering books, we can find something for you. We are extremely busy this term covering the new quality literature for Home Readers in the Junior School. We eagerly accept donations of books, so if you have any books your children have finished reading at home, we are more than happy to add them to our library. 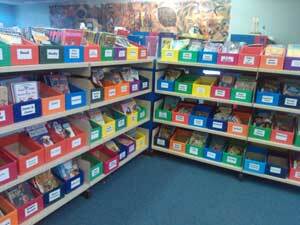 Each class has a designated library borrowing day each term. Please check your child's day with their teacher. To borrow, students need to remember a library bag. Library bags protect our books from possible accidents with liquids and damage from transportation to and from school. Palmerston School library bags are available to purchase through the front office.